Size: 191mm x 166mm / Hardback / 6 x 32 page books Christmas Stories Box of Books - 6 Wonderful Christmas Stories A collection of children's Christmas classics to share and treasure. Including: The Nutcracker, The Snow Queen, The Little Fir Tree, A Letter to Santa, The Twelve Days of Christmas and The First Christmas. Great value for money - 6 picture books included. 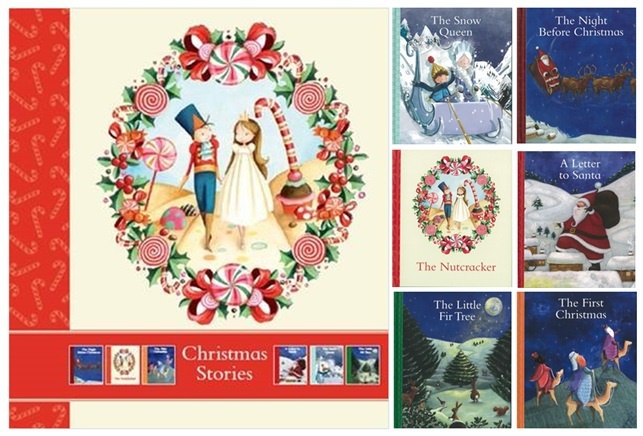 6 best-selling Christmas stories. Foil band around box makes a luxury gift product.